إن فندق Trailways Hotel بموقعه الممتاز في هذه المنطقة السياحية هو نقطة انطلاق جيدة لنزهاتك في هذه المدينة المذهلة. يمكن من هنا للضيوف الاستمتاع بسهولة الوصول إلى كل ما تقدمه هذه المدينة النابضة بالحياة. يقع هذا الفندق الحديث على مسافة قريبة من المعالم السياحية الشهيرة. استمتع بالخدمات الراقية والضيافة التي لا مثيل لها بهذا الفندق في هذه المدينة رائعة الجمال. يمكن الاستمتاع بمجموعة من الخدمات على أعلى المستويات في الفندق كمثل خدمة الغرف على مدار الساعة, واي فاي مجاني في جميع الغرف, مرافق مخصصة لذوي الاحتياجات الخاصة, واي فاي في المناطق العامة, صف السيارات. في Trailways Hotel غرف نوم يزيد عددها عن 47 صممت بذوق وعناية لتوفر لك كل وسائل الراحة . بعضها يحتوي أيضاً على تلفزيون بشاشة مسطحة, سجاد, قهوة فورية مجانية, شاي مجاني, بطانية كهربائية. يقدم الفندق مجموعة واسعة من وسائل الراحة المتنوعة، كمثل: حمام سباحة خارجي. إن Trailways Hotel هو خيارك لخدمة الفنادق الراقية في المدينة. Trailways is located right on a tidal river. To get to town, you just go over the bridge and voila Trafalgar St. takes you right through the heart of Nelson to the restaurant court and the cathedral. The room we had was clean, the bedding luxurious, and the shower with 8 different shower heads was wonderful. The only drawback is that the walls are slightly thin so you could hear the next room tv and louder conversations. The restaurant at the hotel is very good and very popular. When I return to Nelson, I plan to stay at this hotel. Everything is close, i-Site, Bus station, restaurant etc Only one thing was disappointed that hot water didn't turn up hot water durning night time. I had been waiting few hours but didn't.I was looking for having bathtub... So I had bathtub in the morning. Available private car lots and off road parking around the hotel. The room was clean and comes with a small balcony. It is just beside BK and close proximity (3-7min walk) to other dining options in the city. I stayed at ground floor room, car park side. My family had stayed 1st floor with river view, It looked awesome ! car park side is OK, Room are very clean, with nice amenities. Location is perfect for any transport ( only 1min to go to i-SITE). There are plenty of restaurant around there, supermarket is very close. Highly recommended ! This is the second time I have stayed here and once again the hotel lived up to expectations, quiet, comfortable and near the centre of Nelson which meant walking into town for the evening took only a few minutes. Will stay there agin next time I'm up that way. Trailways is a perfect choice when staying in Nelson. Very close to the shops/restaurants and transport. The staff member on reception was friendly, organised and was able to check us in early. Great room with outside space. Good facilities/amenities. The bar/restaurant looked good too but we didn't have time to eat/drink there. Highly recommended. Great food in the restaurant, fresh and beautifully presented. Helpful, knowledgeable hotel staff, which made my stay really nice. The river view looked a bit manky when the tide was out but was much nicer when the tide came in. Great location central to the CBD. I would stay here again. We were delayed in arriving at the hotel due to flooding outside of Karamea. We had walked out of the heaphy track that morning and got to the hotel about 9.30pm the staff were helpful and friendly and the snack food was fabulours. The Hotel is centrally located in Nelson. Staff are friendly and efficient. Rooms are very large and spacious, very clean and well equipped. 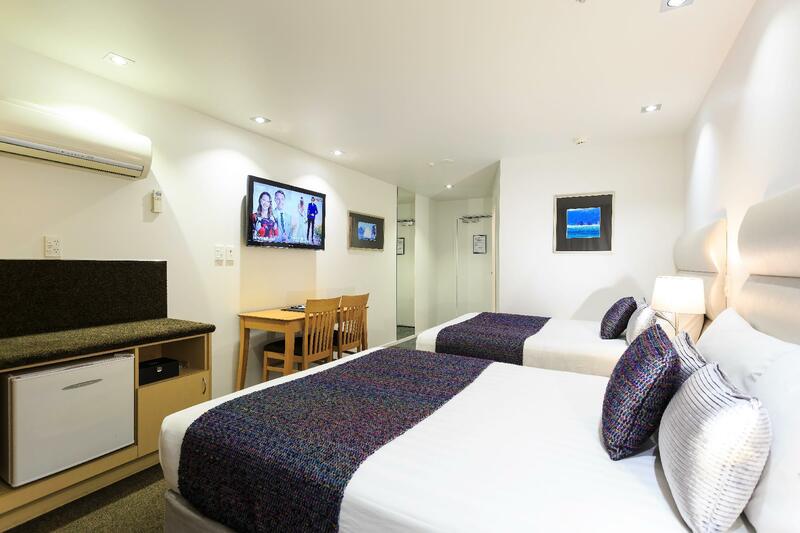 Great air conditioning, and in winter the rooms have underfloor heating and heating options. Free parking and WIFI, nice bar and restaurant area. Comfortable beds and pillows. 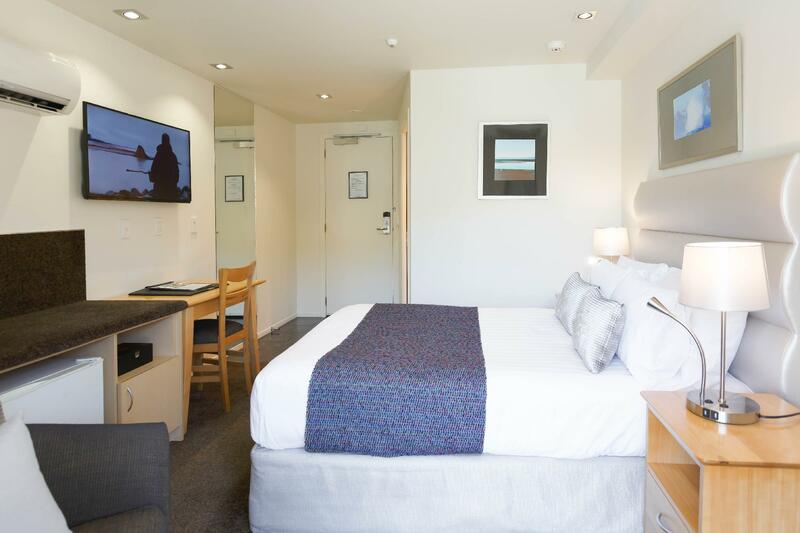 The Trailways Hotel was a real pleasure to stay in, with luxurious touches in the room such as underfloor heating in the bathroom and crisp bedlinens. The location on the river is ideal, with the i-Site across the street and the downtown just a stroll across the bridge. We had two dinners at the Tides restaurant, and while I understand the comments some have made that the portions were small for the price, the food was delicious and well-presented, and having dinner overlooking the river on a late-summer evening was perfect. Very enjoyable. Nice comfy room, great spa bath. The staff were very friendly and attentive. Tides restaurant was fantastic, the food was beautiful and not only tasted great was also well presented. The staff at Tides were just lovely and friendly and very efficient with service. We would recommend Trailways and stay there again for sure. The location to be able to walk around Nelson was fantastic. Clean and comfortable. Friendly helpful staff. Relaxed. Good hotel which was well located for town centre. It was clean and comfortable with a large french window with chairs and table outside. Good breakfast.The staff were helpful and friendly. Parking was good. 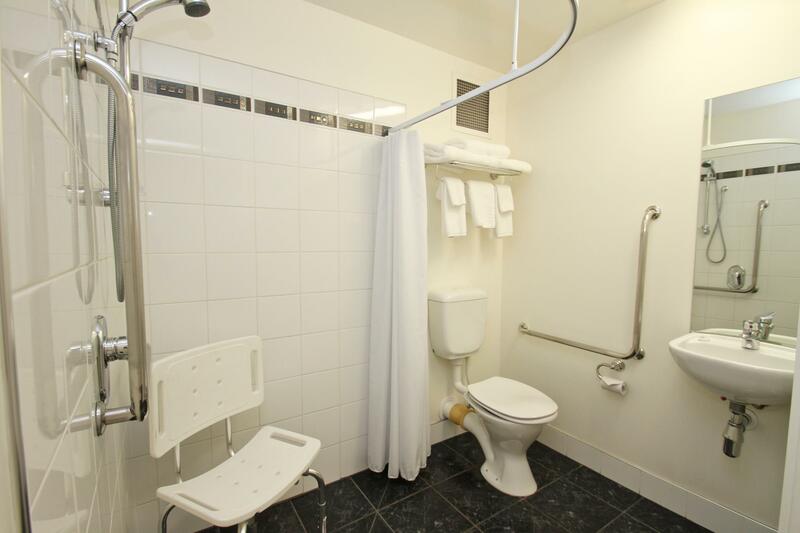 Comfortable bed, clean and generous spa bathroom, centrally located in town. We had stayed at Queenstown, Dunedin and Christchurch as we were on a drive holiday and Nelson was our next stop. The beds at all the other hotels were very uncomfortable. We had such a good night's rest at the Trailways in Nelson that instead of leaving early in the morning for Hokitika, we slept in and left a lot later as none of us really wanted to get out of bed. After the hot spa bath and comforatble bed, we left Nelson feeling relaxed and refreshed and ready to take on the drive to Greymouth and Hokitika. 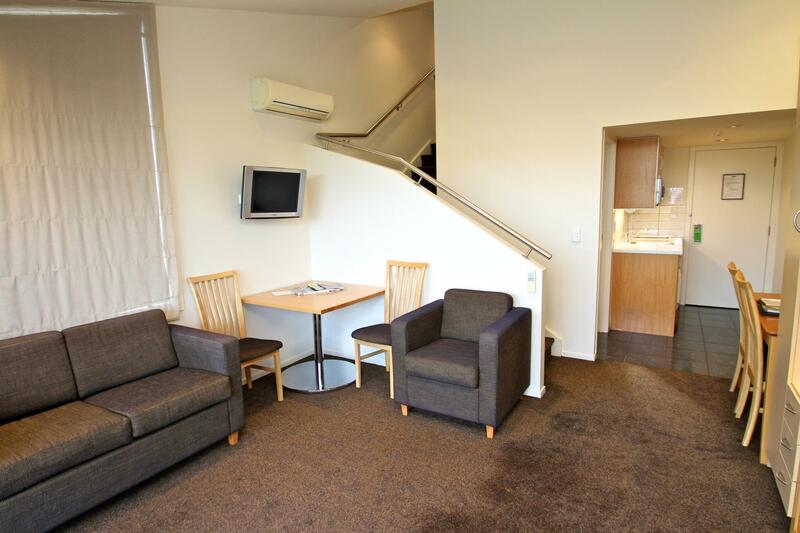 We would definitely recommend Trailways Hotel to everyone we know travelling to Nelson. Also loved the recycling initiative taken on by the hotel. Glad I didn't pay extra for river view as water level was low and mostly only river bed was visible. Swimming pool was tiny, website misleading - and it was closed when we arrived at 5pm. Room was good, small spa bath was nice. Not kitchen facilities only kettle but had small table and chairs outside (but close to pool and neighbours). Food was also available in restaurant but we didn't eat there (given a rating of 3 in criteria as at least food was available). Overall OK for a night's stopover. Free internet. This hotel was great. Clean, modern, friendly... The riverside rooms were cool and had a great feel about them. We did not eat at the restaurant but it looked nice inside. I would recommend this hotel to everyone. We spent 2 nights at the hotel. Good base for sightseeing and close to the centre for market, cafe's and restaurants. Room was excellent with a nice view over the river. Would certainly recommend this hotel.